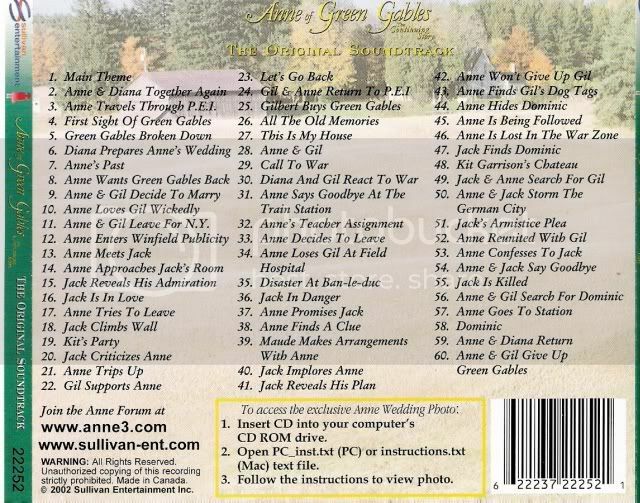 There are two Anne of Green Gables soundtracks. The first soundtrack has tracks from the first two movies. 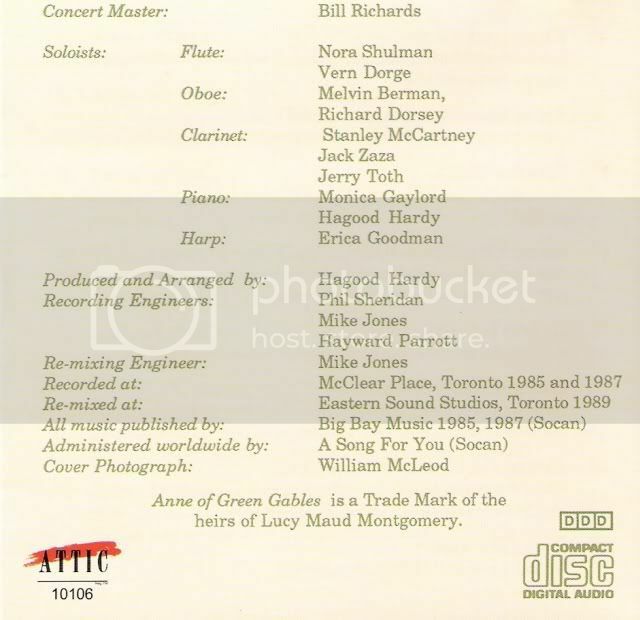 Some of the tracks music is when Anne travels to Green Gables, when Anne and Diana chase Dolly, and when Anne and Gilbert dance together in the field. There are fifteen tracks on this cd. The total running time is fourty minutes and thirty-one seconds. The cd has the same picture that is the front cover of the cd except that the picture is shades of browns. The words are in black. 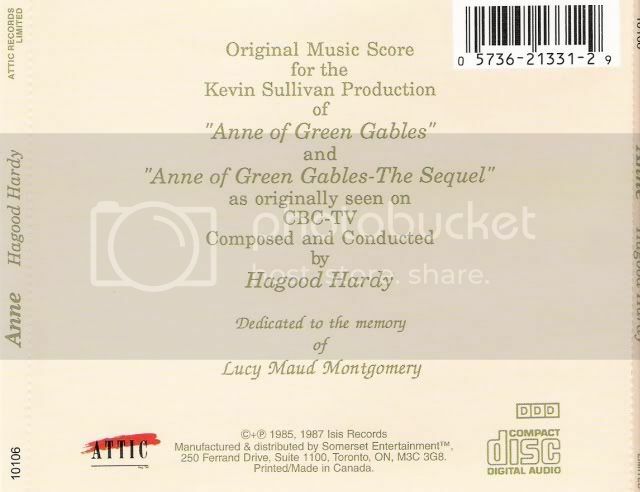 The second soundtrack has music from Anne of Green Gables: The Continuing Story. The total running time is one hour and fifty-one seconds. The list of tracks is located on the last picture. The cd is silver. It has a gold colored circle a few centimeter into the cd. The name of the sound track and Sullivan Entertainment's are also in gold. The Anne soundtrack is fun to listen to. Just about all of the music that's in both movies is heard on the cd. The music heard at the Chirstmas ball is not included- Wine, Women and Song by Strauss-, but you can find mp3s of the music if you google. It's fun being able to listen to the music from one of my favorite shows. One problem is that the later tracks seem similar to each other. Overall, it's a wonderful soundtrack and worth buying. You can find copies at Sullivan Boutique, Amazon.com, and eBay.com. 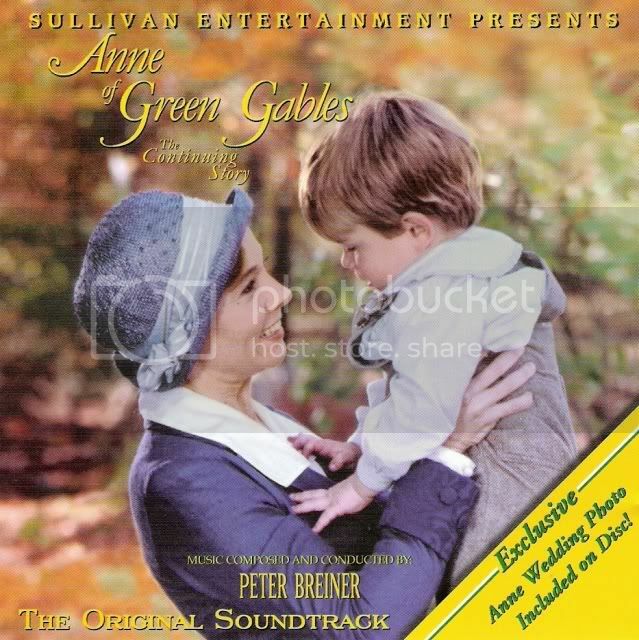 I think the Anne of Green Gables: The Continuing Story soundtrack is more fun to listen to than the Anne. The first half is my favorite. 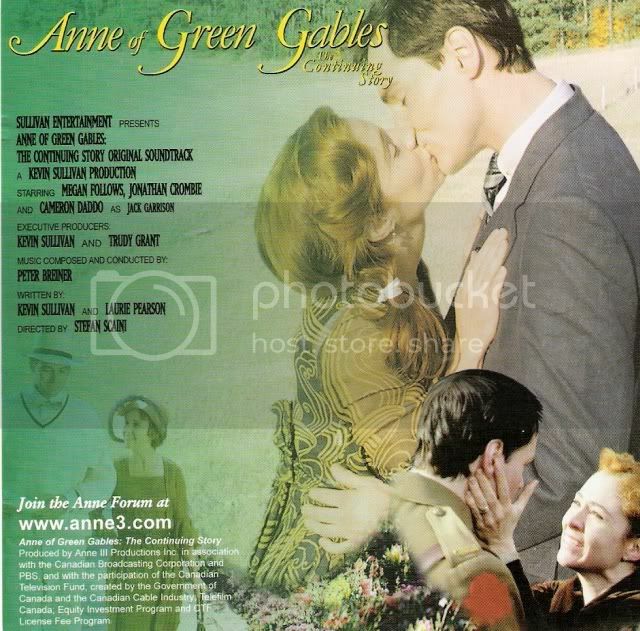 The second half has the music when Anne is in Europe. There are a few tracks that are very similar to each other. 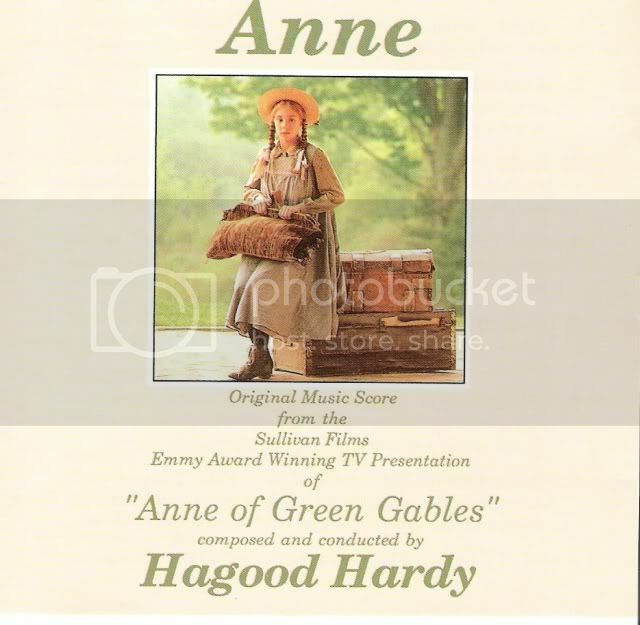 If you're a big Anne3 fan, you'll love this soundtrack. There is one oddity, and that is that track number twenty-two is never heard in the movie. You can buy copies at Sullivan Boutique, Amazon.com, and eBay.com.